Daphné’s first necklace. 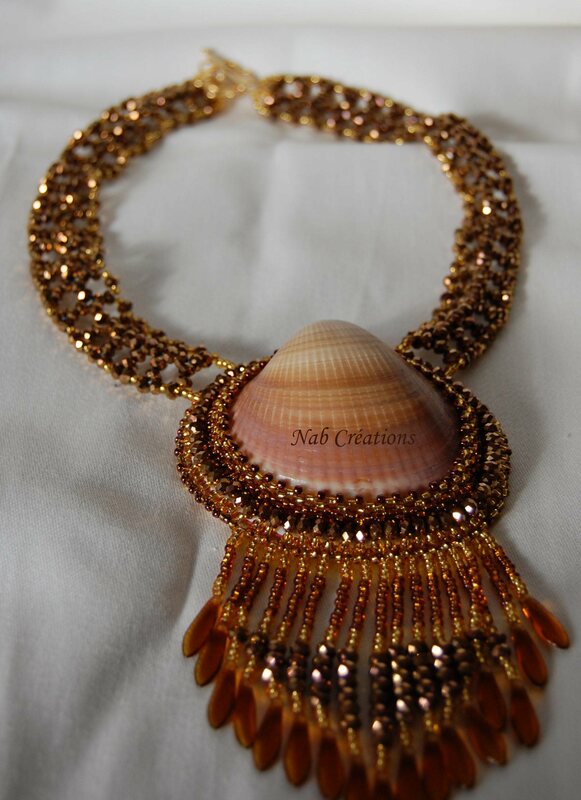 A real shell with seed beads and crystals. Daphné is married and the lucky mother of three (big) children, a daughter and two sons. In her other job, she’s a case manager for the Financial Department of Geneva Hospital. She lives in Chêne-Bougeries in the suburbs of Geneva. 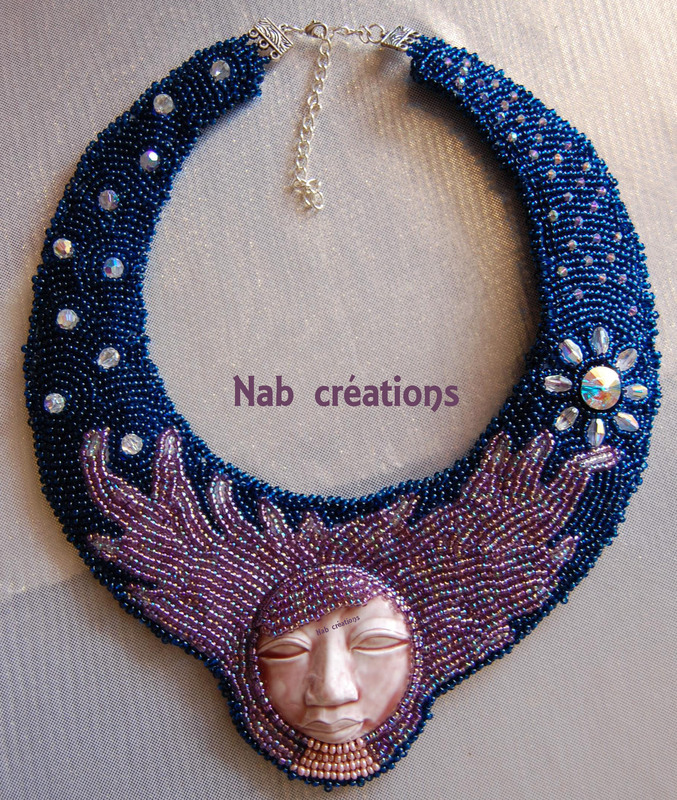 Already as a child, she loved beads and created her own jewelry. Then, more than ten years ago, she rediscovered her bead passion with the Swarovski rings. 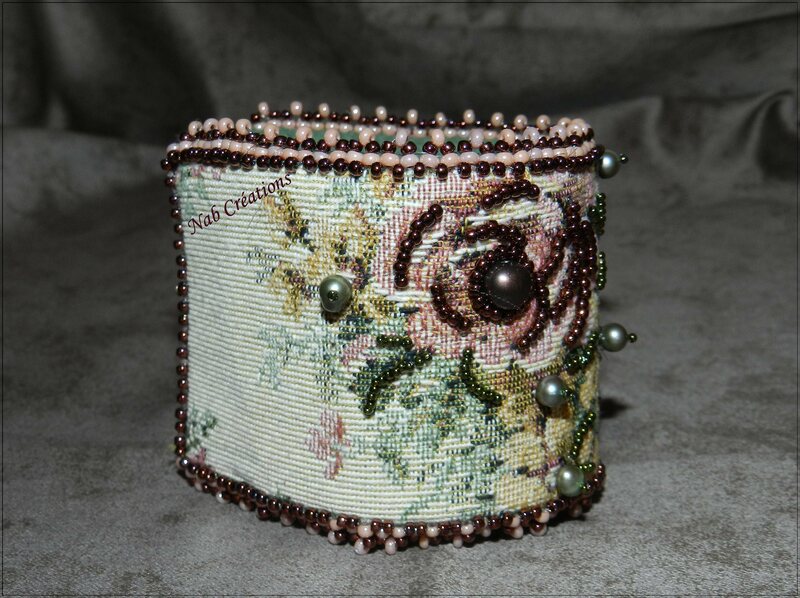 Still a few years later, she discovered the works of American bead embroiderers such as Sherry Hutchison, Heidi Kummli and Jamie Cloud Eakin, and she fell in love with their technic. So she bought books and dreamed about creating, thinking she would never be able to do this… until she finally dared to try her first piece! Ever since, she says, she is totally addicted. 😉 For her first contest : Athena in manga version. Daphné especially likes to play with face cabochons, which add some mystery to her jewelry. Otherwise, she likes photographing, crafting and cooking with her youngest son (who is also very creative) and traveling.